Jacqueline Kennedy’s impeccable sense of personal style has elicited breathless praise from the fashion crowd for decades, but it is her role as an advocate for culture that may be her most important legacy. In appreciation of Kennedy’s efforts, the Egyptian government gifted the Temple of Dendur to the U.S. That structure remains one of the most-viewed pieces at the Metropolitan Museum in New York City today. Another key achievement of Kennedy’s with regard to culture was her effort to bring the Mona Lisa, Leonardo da Vinci’s master work, on a tour of the U.S. During a state visit to France, Kennedy greatly impressed the country’s leader, Charles de Gaulle, with her knowledge of French history and her grasp of the French language. Her connection with de Gaulle helped pave the way for the Mona Lisa to leave the Louvre for the first time. Kennedy’s elevated use of soft power became an inspiration for the First Ladies who followed her. Gonnella-Platts says, “Jacqueline Kennedy took it to a new level that we continue to see today, particularly with regard to international engagement.” Among those who have gone on to build on her example are Laura Bush, Pat Nixon, and Rosalynn Carter. First Ladies: Style of Influence, an exhibit currently on view at the Bush Center, further explores Jackie Kennedy’s contributions to culture, as well as those of every other acting First Lady, from Martha Washington to Melania Trump. Artifacts connected to the women are used to dig deeper into the significance of the role of First Lady. Gonnella-Platts connects learning about Jackie Kennedy and her fellow First Ladies through the Bush Center exhibit with celebrating the power of women in general. She says, “I hope that people come away with a deeper understanding of the role of First Lady and the affirmation that these stories matter, women’s stories matter, women in positions of influence matter, and there’s far more to this role than people realize.” The exhibit runs through October 1, 2018. To learn more about Jacqueline Kennedy, listen to Bush Center podcast Ladies, First: EP. 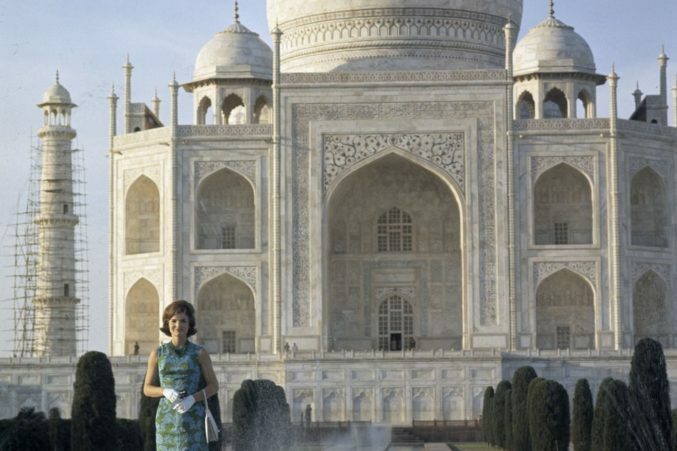 3 JACKIE KENNEDY AND THE ART OF SOFT POWER. 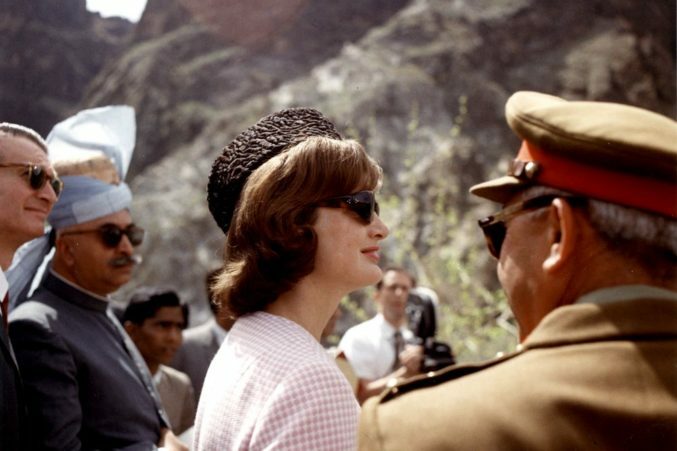 In this episode, Gonnella-Platts chats with Dr. Elizabeth Natalle, author of Jacqueline Kennedy and the Architecture of First Lady Diplomacy.